What is the best maintenance management software for small businesses? The top maintenance management software for small businesses is Hippo CMMS because of its easy-to-use interface that doesn’t skimp on robust functionalities. Ideal for both novice and professional users, this platform has all the tools you need for work order management, facility management, and preventive maintenance. The platform can also scale up or down to your changing operational needs, making it great for growing companies. The quality of your work is heavily anchored on the operational efficiency of your workplace. With that said, it is crucial for you to ensure that your equipment and facilities are in tiptop condition through regular and thorough maintenance. However, maintenance processes can be overwhelming, especially for small businesses. If you don’t have enough manpower or technical skills, you might find yourself experiencing a difficult time delegating tasks to your technicians and keeping track of which equipment has already been serviced. To simplify and accelerate these tasks, having maintenance management software solutions at your disposal will be of great help. Now, you might be wondering “which is the best maintenance management software on the market?” To help you answer this question, we will be discussing the 12 best maintenance management software for small businesses, focusing on their key features and pricing options. This way, you will be able to pinpoint which ones can help you fulfill your operational priorities. Maintenance management is one of the necessary evils of owning a business. It helps prevent unscheduled downtimes that might put a damper on productivity and keep you from providing your customers with good service. However, this is a tedious process—so much so that according to a study by Limble CMMS, 34% of companies spend more than 30 hours weekly on maintenance processes. In the same study, the researchers pointed out that 87% of businesses opt to speed up the process through outsourcing. While this may be efficient, it is an option that small companies might not be able to afford. This is where maintenance management software or CMMS comes in. CMMS are great help in augmenting your mobility, maintaining regulatory compliance, and keeping your facility operational at all times. It helps you streamline your maintenance efforts quickly without compromising accuracy. In addition to that, it will allow you to have full control over any routine maintenance tasks or repairs that are done to your equipment and other assets. Aside from the abovementioned benefits, CMMS can also help you save an average of $3.39M annually as it can extend asset life, reduce downtime, improve labor efficiency, and reduce inventory expenses. With these numbers, why wouldn’t you invest in a CMMS? To help you kickstart the browsing process, we’ve compiled the leading software providers for this platform and noted down their products’ different functionalities and price ranges. This way, you can make informed purchasing decisions and make sure that you are getting the right platform for your operations. 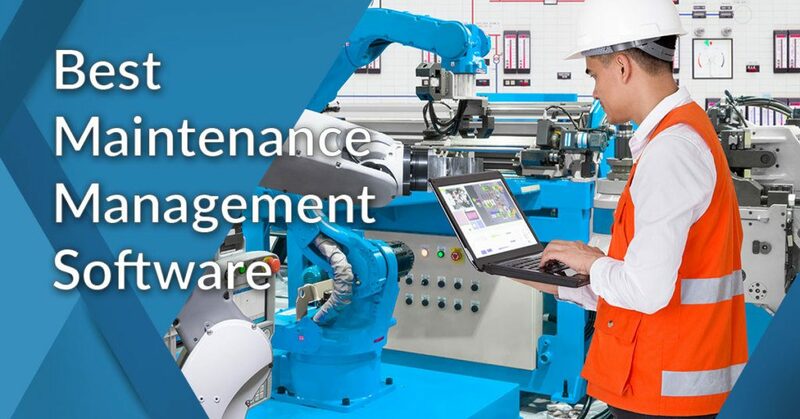 To learn more about what is maintenance management software and how you can make the most out of it for your operations, you can also take a look at our guide on CMMS software implementation. This should give you a more detailed explanation on what to expect from these platforms as well as how you can prepare as you roll them out for your company. At the top of our list is Hippo CMMS because of its user-friendly interface and comprehensive features that can cater to the needs of different business sizes. From interactive floor plans and routine maintenance scheduling to cost tracking and maintenance reporting, this platform is equipped to handle various operational processes related to maintaining your equipment and other assets. What’s more is that it provides you with a centralized calendar dashboard that lets you stay on top of these processes according to your timeline. Aside from the features already mentioned, Hippo CMS also comes with a work order management and fleet management module. With these functionalities, you can efficiently delegate responsibilities to your technical team and make sure that all equipment maintenance requests are being accommodated on time. This even comes with interactive site maps and built-in document management so that your technical team can have access to the information they need even while on the field. If you’d like to check out the app’s features before investing your money, you can easily sign up for a Hippo CMMS free trial here. Lowest Price: Hippo CMMS has a Hippo Lite plan that costs $40/month. It can support 1 user and is inclusive of basic maintenance management tools for work order management, preventive maintenance, document management, and asset management. It offers a fully featured preventive maintenance module that will help you maximize your assets. It lets you streamline work order management with its document optimization, workload delegation, and productivity tracking tools. It simplifies equipment maintenance by giving you real-time insights into your operational assets. it comes with native mobile applications to help you perform CMMS procedures while on-the-go. It has open API functionalities that allow it to integrate with a wide variety of third-party applications. This way, you can extend its functionalities or combine it with your existing software ecosystem. Fiix follows our top maintenance management platform closely because of its value for money. This online maintenance system allows you to manage your assets, schedule preventive maintenance, perform inspections, and accommodate maintenance requests. It is also equipped with simple drag-and-drop calendars to help you organize your maintenance tasks and technician schedules. In addition, it comes with custom reporting tools that process your operational performance and productivity data in real-time. Another nifty thing about Fiix is that it has a fast setup process that will allow you to install and implement it within a few hours, making it great for small businesses who don’t have their own IT teams. It even has a mobile-ready interface that can be accessed through their native iOS or Android applications. This means it is easier for you to track the productivity of your remote technicians. Moreover, it simplifies communication and information sharing between managers and their employees who are working on the field. For more information about the functionalities that this platform has to offer, you can sign up for a Fiix free demo here. Lowest Price: Fixx has a basic plan available at $35/user/month, Created specifically for small businesses, this plan comes with tools for preventive maintenance, asset management, asset tagging, and work order tracking. This also covers their mobile application. It has a fully configurable dashboard and workflow automation features to give you complete control of your maintenance processes. It has customized reporting tools that let you generate insights based on your priorities. It has a unique drag-and-drop calendar that lets you get a clear view of the whos, whats, whens, and whys of your maintenance tasks. It also lets you see the status of each task for better tracking. It provides users with custom API integrations, machine integration adapters. It centralizes maintenance management data from multiple locations, facilities, or even businesses. FRACTTAL is a cloud-hosted computerized maintenance management system created for companies who are looking to bridge the gap between their physical and digital assets. This platform is composed of three modules to help you streamline the different aspects of maintenance processes. It is equipped with the FRACTTAL Asset Cloud for enterprise asset management, FRACTTAL Box which allows you to leverage IoT to track asset conditions, and FRACTTAL On Board which allows you to perform fleet management. An innovative CMMS, this platform allows you to utilize Big data to predict and respond to possible equipment failures. With this, you can proactively ensure your company’s operational efficiency, prevent downtimes, and maximize the lifecycles of your assets. Lastly, it comes with deep integrations with SAP, Microsoft Dynamics, and Oracle products, making it simpler to further streamline your processes. Should you want to see this platform in action, the vendor provides demos at no cost. You can sign up for a FRACTTAL free demo here. Lowest Price: FRACTTAL’s basic plan costs $85/month, which makes it one of the more expensive options on this list. This comes with essential maintenance management features, email support, and unlimited work order support. It can also accommodate up to 3 users. It aggregates all data on both physical and digital assets for better organization and easy information access. It has a comprehensive fleet management software that lets you maximize the productivity of remote employees, avoid speeding accidents, and log mileage data for simpler cost tracking. It has a plug-and-play interface, allowing users to install and implement it without the need for a dedicated IT team or in-house tech experts. Upkeep is a mobile-first CMMS designed to increase the agility of technicians and enhance the productivity of maintenance teams. Like other maintenance management systems, this allows you to simplify the management of work orders, optimize PM scheduling, and even automate your workflows. What sets it apart is that it is geared towards improving collaboration and accelerating work processes. It comes with built-in QR code scanning, real-time notifications, in-app messaging, and unified databases so that remote employees and managers can stay connected at all times. Aside from its comprehensive set of features, Upkeep also offers a user-friendly interface that does not compromise flexibility. This means it is simple enough for tech-averse users but powerful enough for professionals with IT expertise. In fact, it comes with custom integrations and APIs for easier configurability. Lowest Price: Upkeep offers a free plan so small businesses can easily start their maintenance processes. This can support unlimited users and multiple locations but offers limited process history storage. If you’d like to upgrade as your company expands, they have paid plans that start at $30/user/month. It offers an innovative mobile-first interface which makes it good for teams with remote employees. It comes with built-in barcode scanning, signature capture, photo/video uploading, and messaging capabilities to improve the productivity of mobile teams. It has a comprehensive feature set that covers everything from team scheduling to workflow automation to process reporting. It has advanced notification systems that improve team communication and enhances work process transparency. It has great in-app reporting tools that will allow you to get real-time data on your productivity and performance. Maintenance Care is a CMMS created for IT managers, maintenance managers, and executive directors. Fully featured and integrated, this is equipped with tools ranging from preventive maintenance and inventory management to work scheduling and reporting. Moreover, it has highly configurable settings that will let you modify task frequency and priority to eliminate downtime and boost overall employee productivity. Another great thing about Maintenance Care is that it has a unified data storage where your team can easily access the information they need to fulfill their tasks. With this, they can easily receive requests for maintenance on-the-go, view the details of their tasks in real-time, and even pull information on operational processes with ease. Lowest Price: Maintenance Care has a free plan that gives you instant access to your data, user guide support, online work order customization, basic reporting, basic task management as well as support for a single facility. For more advanced features, they have paid plans starting at $75/month. It has a centralized database for your maintenance tasks and processes from multiple locations. It gives users customized web forms to simplify work order request collection. It comes with an advanced preventive maintenance scheduling tool to boost the efficiency of your workflow. Asset lifecycle management that comes with real-time data on life expectancy, location, equipment make, product model, and serial number for better tracking. It has beautiful and intuitive reporting dashboards that let you monitor staff performance and operational productivity. Limble CMMS is a feature-rich maintenance management tool purpose-built for small to medium-sized businesses in different industries. It offers a streamlined, mobile-ready system that lets you organize work requests as well as document the different aspects of your maintenance process. This way, you know in real-time who is assigned to which tasks, how much time is being spent per task, as well as how much each task costs. What’s more is that it has built-in document uploading and note-taking tools to help simplify the collection of data for your technicians. Aside from these robust functionalities, Limble CMMS is also known for its clutter-free interface. It is optimized to work on all platforms and provides you with a customized display of information so that you will see only the data that is important to your process. Lowest Price: Limble CMMS has a Starter plan that is priced at $25/user/month. It comes with all the basic maintenance management features as well as support unlimited users and multiple locations. If you are looking for a more affordable option, they also have a $1/asset/month plan. It comes with tools that let you monitor maintenance processes in line with your finances. It generates granular reports on specific KPIs. It comes with a mobile maintenance system for better remote team management. It has a multi-location management system for businesses with different warehouses or branches. It has a Live Test Drive function that will help you simulate various maintenance scenarios. TakeAIM is an all-in-one auditing, equipment inspection, and asset maintenance application. Offering a user-friendly interface and a straightforward set of functionalities, this simplifies maintenance processes for novice users without limiting flexibility. It comes equipped with strong inspection task organization tools, maintenance documentation functionalities, as well as internal messaging options to optimize your entire workflow. In addition to that, it has the capacity to provide you with complete visibility on equipment performance from multiple locations so that you can reduce downtimes and improve overall efficiency in the workplace. Another thing that makes TakeAIM such a good option for small businesses and growing companies is that it supports unlimited assets and users at affordable rates. Meaning, it can easily scale up to your needs as your operations expand and you won’t have to waste time in implementing and learning a completely new CMMS. Lowest Price: TakeAIM’s pricing plans work on a credit basis. These credits can be used by all registered users across all checklist variants. The lowest bundle you can buy is for 25 inspections and it costs £6.25 excluding VAT. It stores inspection histories and analyzes them for future reference so you can observe trends in the performance of your equipment. It has a built-in QR code scanning and assignment tool to help you track your equipment more efficiently. It is equipped with robust documentation tools so that inspectors can easily collect digital signatures, take pictures and notes related to the inspection, as well as sync reports to your database in real-time. It comes with its own messaging tool to help managers communicate with inspectors while they’re out on the field. It allows managers and inspectors to set auto-reminders for scheduled tasks, maintenance follow-ups, and other assignments to make sure nothing is overlooked. iMaint also has other features worth noting such as its multi-language support, reports and graphs, cost tracking, and maintenance budgeting. In case these are still too basic for you, iMaint also supports integrations for your convenience. Lowest Price: iMaint has an online small business plan that costs $79/user/month and can hold up to 5 users. In case you prefer the on-premise version, it is available at a one-time fee of $9995. It is a fully integrated CMMS that comes with tools for work order management, preventive maintenance, and inventory tracking. It comes with its own project management module for large. It has a customizable navigation pane which makes it more flexible to use. It is equipped with a knowledge base that collects information from accomplished maintenance tasks for easier data sharing. It has multiple deployment options that can be scaled up or down depending on your needs. Bigfoot CMMS is a maintenance management solution created for companies utilizing data-driven processes. While it is similar to the other solutions on this list in terms of asset management, maintenance scheduling, and work order monitoring, this platform shines in terms of predictive maintenance. This is because it leverages strong analytics to help you maximize your assets and ensure operational efficiency at all times. What’s more is that it has configurable reporting tools that let you see the data you need for your processes at a glance. Aside from this, Bigfoot CMMS also comes with an interface that is accessible via Android and iOS devices which is great for mobilizing technicians and providing them with the information they need while on the go. Lowest Price: Bigfoot CMMS is available on a by-quote basis. However, it has quite an expensive initial fee that may cost around $7500. It has a preventive maintenance dashboard that can be configured according to your operational priorities. It supports both calendar-based, meter reading-based, and hybrid approaches for maintenance workflows. It gives you access to critical reporting metrics in real-time. It comes with a highly configurable meter reading management tool that can easily adapt to your operational processes. It has robust predictive and preventive maintenance capabilities because of its IIoT integration. eMaint is a straightforward yet scalable CMMS and EAM solution. Being one of the most basic platforms on this list, eMaint is a great pick for small businesses as it takes little to no time to learn but it does not skimp on essential functionalities. This means it will allow you to carry out your day-to-day operations without hassle. With it, you can perform all the processes related to predictive maintenance, preventive maintenance, inventory management, and asset management as well as get access to enterprise-level reporting and interactive site visualization. Aside from the abovementioned features, eMaint is also mobile-ready and fully equipped with security features. The vendor also has integration services that will allow you to import your data from ERP systems and other third-party solutions to your CMMS. Lowest Price: Users can subscribe to eMaint for as low as $33/user/month. This Team plan can accommodate up to 3 users and is inclusive of standard CMMC features, helpdesk support, online training, as well as software updates and upgrades. It has an intuitive asset management tool that has the capability to report on your critical assets and ensure that all necessary maintenance processes are being carried out to prolong their lifecycle. It has a documentation system that captures each detail of your process–be it the inspection instructions, the type of work performed, the amount of time rendered on the process, and any other related notes and files. It provides users with powerful reporting tools and KPI dashboards to help reinforce their data-driven maintenance management operations. It comes with a multi-site toolkit that lets you consolidate all processes from different sites in one convenient dashboard. It is equipped with mobile CMMS that lets technicians access work request information and other data while on-the-go. FMX Facility Management is a CMMS focusing mostly on work order management and preventive maintenance organization. Created for small to medium-sized businesses, this platform comes with the essential tools you’ll need for scheduling tasks, planning routine processes, and monitoring assets. It even has reporting options that will allow you to gain insights into your operational performance as well as the health of your equipment. Moreover, these functionalities are bundled in an easy-to-use interface that does not require you to have extensive technical expertise. Among the other functionalities that it can provide you are QR code scanning, repair cost and time tracking, fleet management, automated reminders, and data importing. Lowest Price: FMX Facility Management is only available on a by-quote basis to ensure that you are only paying for functionalities that you need. Contact the vendor for more details. It has an easily navigable calendar-based interface that makes it easy to understand even for novice users. It is equipped with an approval processing tool that can be configured to your company’s standards. It has a unique scheduling module that not only consolidates your pending processes but also informs you of any possible duplicates before approval. It has an intuitive reporting module that not only highlights your performance’s high and low points but also notifies all concerned parties automatically via text and email. It comes with role-based permissions so that managers can control who can view or modify the platform. This also increases accountability on the part of your employees. Capping off our list is MicroMain, a computerized maintenance management system and enterprise asset management platform trusted by companies worldwide. It allows users to perform preventive and predictive maintenance processes, simplify workforce tracking, as well as manage compliance with industry regulations and safety standards. What’s more is that it allows you to increase the life of your equipment and enhance operational workflows by leveraging advanced analytics and forecasting tools. Other notable features that it can offer you are key and lock management, real-time notifications, service history tracking, mobile access, and contract management. Lowest Price: MicroMain offers quote-based pricing plans that start from $44/month. For more information, be sure to get in touch with the vendor. It collects data down to the last detail and stores them in a unified database for easier retrieval. This includes work orders, serial numbers, warranties, meter readings, inspection rounds, timesheets, and even compliance documents. It comes with team management tools that let you collaborate better with your technicians and other remote maintenance staff. It is equipped with an advanced analytics reporting engine and forecasting functionalities so you can generate more accurate reports. It comes with an auto-scheduler tool that helps you organize work orders while optimizing resource allocation. It provides users with both cloud-hosted and on-premise deployment options. 1. It should be flexible yet easy to use. Flexibility is important but that should not come at the expense of usability, especially for small businesses. Having access to API capabilities may be great, however, if you don’t have the know-how to use it or have a team of IT professionals to assist you, it can be challenging to configure the platform on your own. With that said, it is crucial that you find a maintenance management system that will give you the option to perform code-free customization or at the very least, have simplified customization settings. This way, you don’t have to spend too much time on setting up your new software or learning how to configure it according to your preferences. 2. It should be comprehensive but free of bloatware. There are many processes involved in maintenance management and you will be needing quite a number of tools to perform them properly. However, as you browse for a platform, it is important to keep in mind that sometimes, the best maintenance software isn’t always the one with the most features. A software that has only the essential maintenance tools will be of much more help to you than a system that’s filled with bloatware. In fact, these additional functionalities will slow you down and hinder your growth later on. Try to find a maintenance management platform that has a streamlined set of tools that will be able to fulfill your operational needs. Some features you might want to look out for are predictive/preventive maintenance, work order management, reporting, and fleet management. 3. It should be predictive, preventive, and reactive. It is not enough for your maintenance system to simply help you respond to maintenance issues. It should also help you prevent problems by giving you the option to schedule routine maintenance and allowing you to set up a database that lets you track the lifecycle of your equipment. Moreover, you should find a platform that also provides predictive functionalities. These often come in the form of AI, machine learning, or business intelligence. These will help you anticipate what kinds of problems you might encounter so you can be proactive in ensuring the efficiency of your equipment. Hopefully, with this short guide and our list of top 12 maintenance management software, you were able to narrow down which CMMS is most suitable for your operations. If you haven’t chosen a platform yet, we highly recommend trying Hippo CMMS for your maintenance management processes as it offers a comprehensive set of features at affordable rates. Moreover, it is built for usability so you don’t have to worry about steep learning curves that might put a damper on your productivity. You can test it out for yourself if you sign up for a Hippo CMMS free trial here.